« Solving the stackwise problem in Cisco Catalyst 3750. In my previous entry of “Troubleshoot: Distribution Switch Acting Weird” I have mentioned a strange problem that was happening in the network. So, I have gone through a lot of trouble to find out what was going on. We checked Spanning-Tree with full details drawing all ports, roots, etc. We were sure that something stopping traffic of our Server Farm Vlan from propagating into the Routing Vlan. As mentioned in the earlier post, we knew the general idea but we were looking at the wrong place. We concentrated on the distribution switch since the traffic was stopping over there. The problem was at the core switch! We never applied VTP pruning on the interface level, so we never really thought it could be an issue. What we found that the command vtp pruning was enabled. Checking the operation of vtp pruning requires the following command to be typed “show vtp status | in pruning”. Since, it was “enabled”. The following scenario happened. The core switches were the servers, while wireless devices were client. Between those two devices were the Server Farm Distribution switch which was operating in Transparent mode. 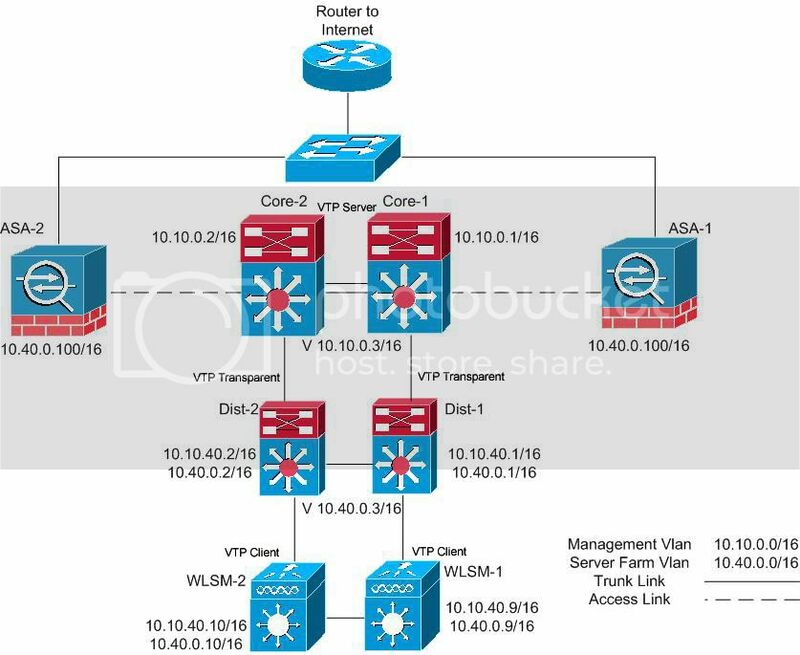 This meant that the distribution switch will pass all VTP packets, just wont process them, in other words effective communication was taking place between client and server in the VTP domain. What happened is that when we were shutting down the Vlan Interface in the VTP client. It sent a message to server that the Server Farm Vlan could be pruned. This caused the communication to stop in the link between the server farm distribution switch and core switch for that vlan. The scenario can be seen from the figure below. This is why, we should never use “vtp pruning”. Just prun the vlans we want from the trunk links manually. It gives the proper control and predicted behavior of network. In general, it is best to do everything manually in networks. Never use the “auto” let it be speed, duplex negotiation, trunk, etherchannel, routing summary, or anything. The most predictable network behavior, the easier to troubleshoot. A blog where network engineers can enhance their knowledge on the subjects of routing and switching, certifications and exams, and how to add value to their enterprise.